Move over turmeric lattes, coffee is going green! Millions are hooked on the habitual comfort of a steaming hot cup of coffee. Now stir in a teaspoon of broccoli goodness and you have an incredibly virtuous pick-me-up. A dried, powdered rendition of fresh broccoli, with its nutrients still intact, was developed last year by Australia’s national science agency and agricultural research group. Heads of broccoli that wouldn’t make the beauty stakes to the supermarket shelves are used – a big sustainable benefit to broccoli coffee’s bow – and it’s a great way to guzzle down your quota of veges. 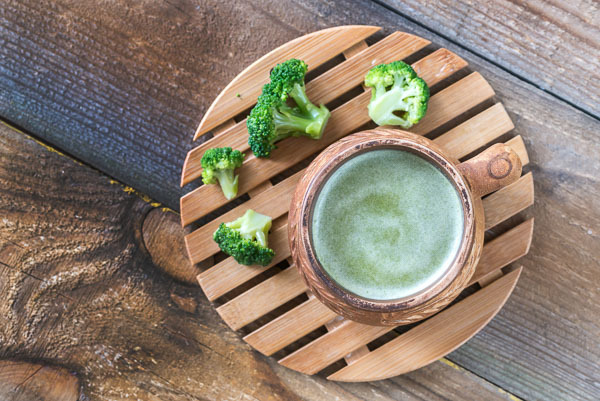 Broccoli is a nutritional powerhouse, containing vitamins A, B1, B6 and E, potassium, copper, niacin, zinc, manganese and selenium, as well as valuable fibre, lots of calcium, omega 3 fatty acids, Vitamin C and even protein. Broccoli powder and powder made from other green-goddess foods are nothing new. Smoothies are quite accustomed to the shade of green. However, green coffee still seems more like a St Paddy’s day drink than a daily cuppa. Turmeric lattes got a few loves, but broccoli lattes may have to join the ranks of other slightly squirmy inventions, like cockroach milk, while we wait for the celebrity endorsements. Will it take over the world? Curious palates the globe over will certainly be giving this alien-like elixir the taste test. The Coffee Fans is a bright, relaxing café in the heart of St Albans. Open 7 ‘til 4 weekdays, and 8 ‘til 4 on weekends, it’s a great place to grab a coffee and enjoy the busy surrounds. 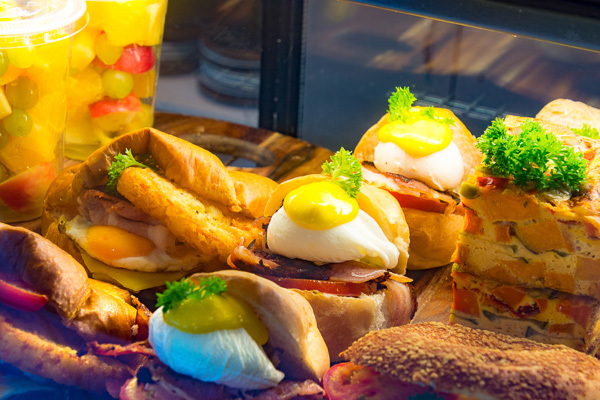 Breakfast and lunch is served until 1:30 each day, with specialties such as traditional Eggs Benedict on toasted ciabatta with bacon, Eggs Atlantic – that’s with smoked salmon – or the vegetarian Eggs Florentine with Portobello mushrooms. All eggs are free-range, and in the Coffee Fans Breakfast they come poached, scrambled or fried and with all the fixins expected in a big breakfast. Other favourites are the French Toast, toasted sandwiches, or a Corn Fritter Stack with bacon, tomatoes, avocado, salad, and poached eggs served with a freshly made mango salsa. Check the Chef’s Special board outside for delights such as Smashed Avocado with feta on ciabatta. In the cabinet are some of the best looking savouries and treats in the city. Fresh salads, pies, paninis, wraps and sweets such as lolly cake, muffins, and the exotically tantalising Raspberry Coconut Bliss Ball! There is a no-smoking outdoor eating area for these fine summer days; it’s doggie friendly too, so convenient to drop in when walking your puppy. Enjoy free wi-fi and, with a new menu due to be launched in April. The Coffee Fans is a neat place to drop by and enjoy good coffee, scrumptious food and a chill atmosphere. Fans of The Purple Weka Café & Bar already know it’s the place to go for great coffee and delicious food, but did you know the catering service means you can serve all their delectable treats at your place? If you have a workplace or birthday shout, business lunch, or team gathering and want all their popular fare – with none of the effort involved – the friendly team has your back. Now located at 48 Fitzgerald Ave, on the edge of the CBD, The Purple Weka Café & Bar is well known to locals who praise its top service and hospitality. The catering service – which includes a range of savouries, sandwiches and more – is exactly the same as you would be served in the café. All you have to do is check out the online menu, ring the day before to order, and they’ll prepare everything and have it all boxed up ready for you to collect, so you can go enjoy the party, too! For more information on The Purple Weka Café & Bar, visit www.purplewekacafe.co.nz. Black & White Coffee Cartel is expanding to give you the new way to drink coffee in the jewel of the south, Queenstown. Leading the team at Queenstown Central in Frankton, is Kelly Roach. “Black & White Coffee cartel is a family business; you work with people who constantly support you and are as passionate about customer satisfaction as I am,” she says. 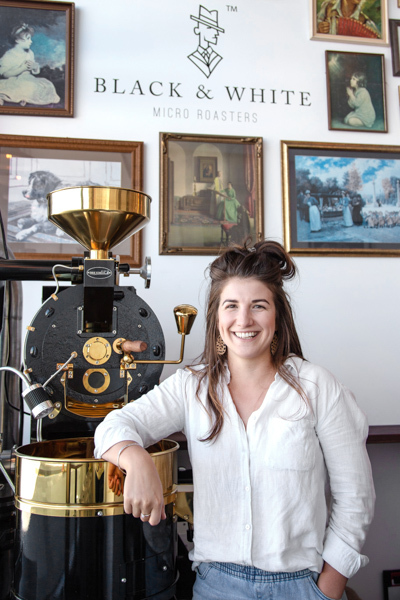 When she’s not sipping on an edgy cup of coffee with a dash of coconut milk, this dynamic 25-year-old is leading a team of passionate baristas to bring the quality coffee experience that Christchurch has been fortunate to have for more than eight years to the fine town of Queenstown. The future is bright with Black & White Coffee turning its eyes towards the south. 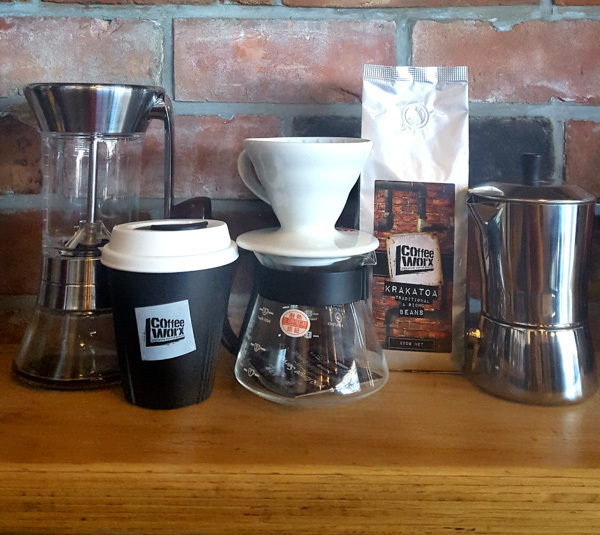 Those that know the quality of Black & White Coffee Cartel are able to meet the crew down at Queenstown Central in Frankton from 7am to 4pm Monday to Friday and 8am to 4pm on Saturday and Sunday to get their favourite caffeine fix. Success breeds success and Kelly’s entrepreneurial approach to business is just another great chapter in the story that is Black & White Coffee Cartel. Talking to Bink Bowler, the man behind our city’s Black & White Coffee Cartel, you immediately understand why Christchurch is beginning to look pretty darned amazing; while many post-earthquakes wrung their hands in despair, Bink saw it as a once-in-a-lifetime opportunity not to be wasted. “We’ve got no choice; we’ve got to go for it. We’re set to become the most modern, thriving city in the world! Look at what we’ve achieved out of this disaster. Imagine us five years from now – it’s very exciting!” In 2015, Bink opened his first Black & White in Victoria Street; this year marks the opening of the eighth, at Plymouth Lane in the CBD. A triumph, indeed, for one who’s had to weather his fair share of doom ‘n’ gloom prophets. Bink believes what makes the Christchurch café scene so unique is because it’s a daytime city. “And Christchurch people are real daytime people. We have beautiful parks and rivers. This is a fantastic place to live and raise a family. Ours is a traditional city and we should embrace that.” With an eye to opening another café in Queenstown, Bink says his loyalty to Christchurch remains. “That’s always been our mantra. We’ve never lost confidence in Christchurch. Every year here just gets better!” Bink Bowler, ladies and gentlemen, barista and entrepreneur; the kind of guy that helps take a city from ordinary to awesome! Visit www.blackandwhitecoffee.co.nz or follow on Facebook. An Ethiopian goat herder noticed his flock became rather rambunctious and frisky after nibbling from a tree of coffee cherries – and so goes the origin of coffee. Another belief is a healer roasted raw beans to remove bitterness and voila! Next came the Ottoman empire and Indian Spice Traders, then once Europe got a whiff of its energising powers, our caffeinated civilisation was hooked. 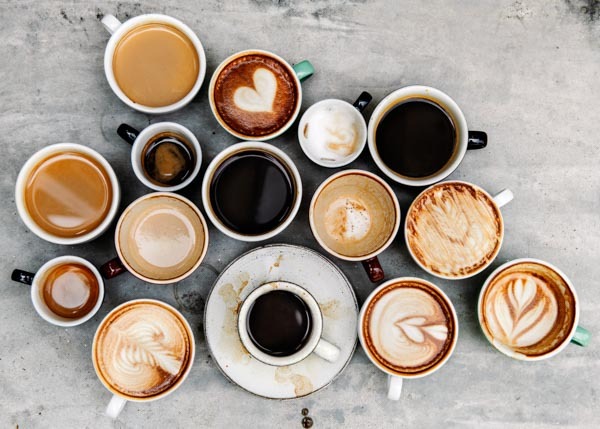 The Coffee Monster, aka Chris Meyer of Black and White Coffee Cartel, at 150 Lichfield Street, has been enlightening groups of intrigued caffeine fiends on the ‘hows and wows’ of coffee, in an aromatic journey from plant to cup dubbed The Coffee Appreciation Project. The main beans are Robusta and Arabica. The best, ripest cherries of the latter are hand-picked only from mountainous slopes of the equatorial belt. However, there are some 48 coffee-producing countries. The micro roaster, a rather Jules Verne-esque beast, was demonstrated. The aroma was dewy grass, which became caramelised straw. Each small-batch roast goes through an endothermic process, when raw beans absorb heat, then an exothermic process, releasing heat. Airflow, temperature, speed and timing culminate in perfection, via bells and whistles for Africa, and an astute roast master. Italians gave us our espresso machines, which require a super skilled human to extract the elixir just so. Other interesting means were demonstrated, such as the Cold Drip, a 7-12 hour process in a science lab-like vessel, creating the most sultry, smooth liquor. Interestingly, we learnt the Swiss water process decaffeinates naturally without chemicals, retaining its full flavour – a secret weapon of the coffee obsessed in the late afternoon. Two years ago, keen coffee connoisseur Nick set up shop in a section of Designspace’s building at 400 Barbadoes Street, with the intention of providing customers with great coffee, sandwiches and other delectable eats. Two years on and now accompanied by good friend Caitlyn, Coco Espresso is constantly welcoming more and more regulars. Comfortable indoor seating will accommodate your nearest and dearest, and outdoor Montreaux designer furniture sits plenty in chic comfort. Plus, unlike some cafe’s, there is no shortage of on-site parking. The major attraction for Coco Espresso, is not just the smooth, rich coffee, which can be served in a variety of environmentally sustainable cups, or the warm, smiley service from Nick and Caitlyn, but the cheese rolls and sandwiches available with many styles and fillings. Both items are immensely popular so first in first served. Nick and Caitlyn also love a wide range of different music, so be prepared to hear some of your favourite artists over the sound system. The best thing about Coco Espresso has to be the laid-back atmosphere. It’s great to sit here on a warm spring day and just chill, with a cuppa in hand. Check out Nick and Caitlyn on their Coco Espresso Facebook page, www.facebook.com/cocoespressonz or call 020 4135 9243. 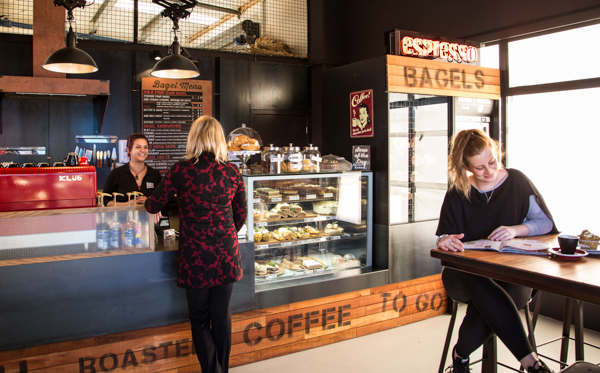 Coffee Worx Espresso Bar is situated at 60 Hayton Road in the heart of Wigram’s busy industrial area. This funky little industrial espresso stop is the perfect filling station for the discerning coffee lover; either to get a takeaway coffee, delicious freshly made cabinet food including the famous bagels, or to buy freshly roasted coffee for home use. 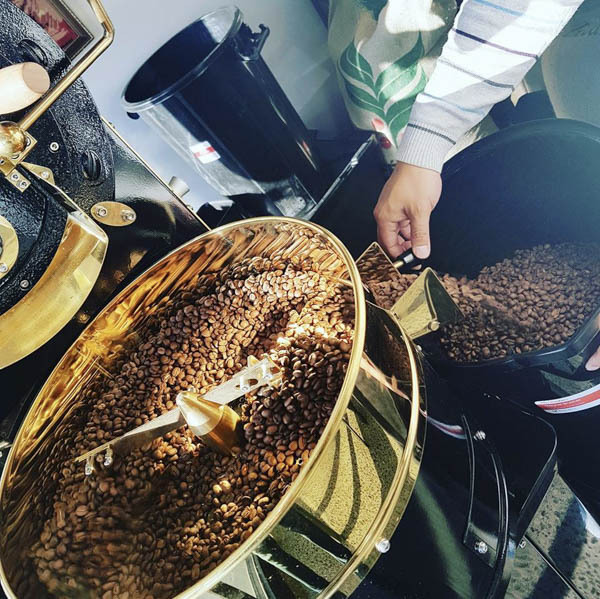 Coffee Worx has had a long history of roasting and serving premium quality coffee blends for the Christchurch market and has now created the perfect marriage, combining its coffee distribution centre and a fast service coffee bar. 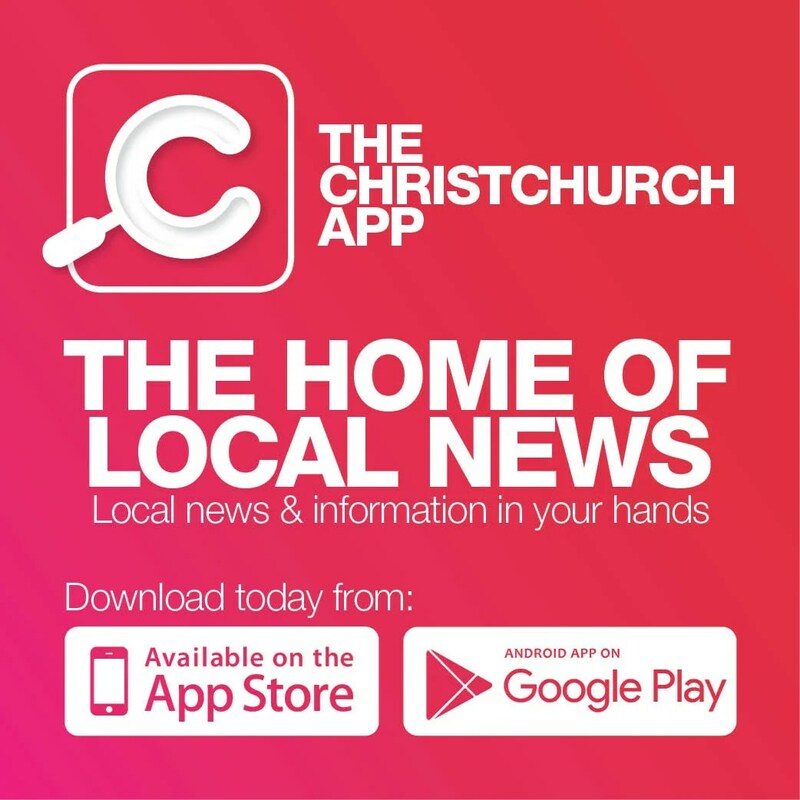 The company has been distributing coffee to its many customers around the South Island from Wigram for the past 10 years, but until recently was housed in a cul-de-sac without a street frontage. However, many people would call into its industrial building asking if they could get coffee to go, which wasn’t possible in that situation. 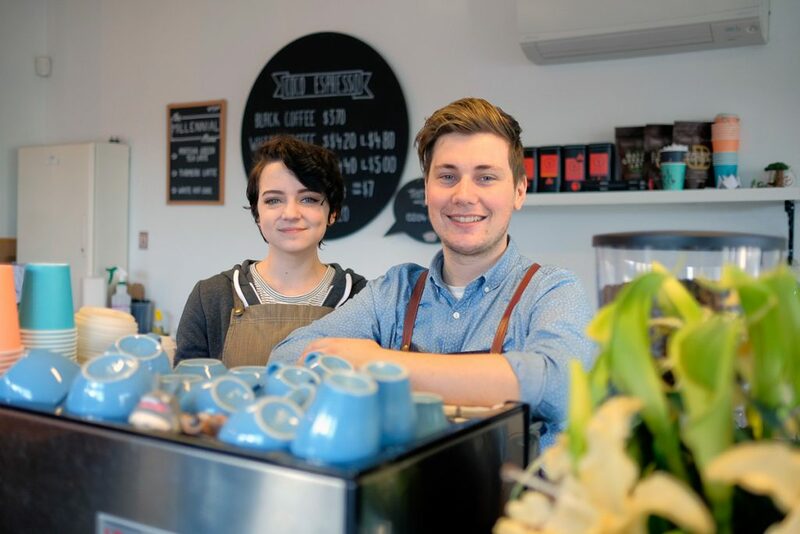 So, when the owners Deb and Ian Riach saw a building come available on Hayton Road, they jumped at the opportunity to open a small café at the front, making it possible to make their sought-after coffee available to the public. This has worked very well and they now have a regular and growing market of coffee connoisseurs getting their daily coffee fix and fresh roasted, award winning coffee beans from Wigram. They have several blends available in 1kg and 200gm bags, but they are happy to grind and pack to order. There are few coffee shops quite like Columbus Coffee Riccarton. 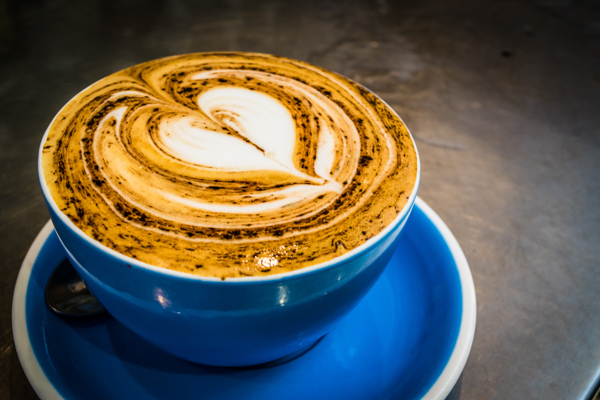 For the last two years, owners Ian and Tess France, along with their team, have prided themselves on giving you the most divine blend of coffee and eats in Christchurch. Although attached to Westfield Mall in Riccarton, the vibe you get is totally unique. With plenty of natural light and indoor and outdoor seating, it’s just like being in your conservatory or summer house. Whether you are after a chai latte or Columbus’ own unique house blend, a barista-made hot cuppa is never far away. Neither is a smoothie, iced tea or frappe if it the day gets a tad hotter than expected. All items on the menu are made fresh each day by Ian and husband and wife team, Lindsay and Emma, with the sheer variety of options on offer impressive. Big local favourites on the menu are Smashed Avocado, Paleo Bowl and Eggs Benne Rosti with a Pork and Mushroom option available. Most items on the menu can be made gluten free on request. Talking of gluten free, Columbus’ savoury cabinet contains a specific gluten free shelf with at least six items available daily, which change on a regular basis. Other popular options include their Chocolate and Hazelnut and Slice, Orange and Almond Cakes, Cherry Ripe and a delicious Plum Friand. 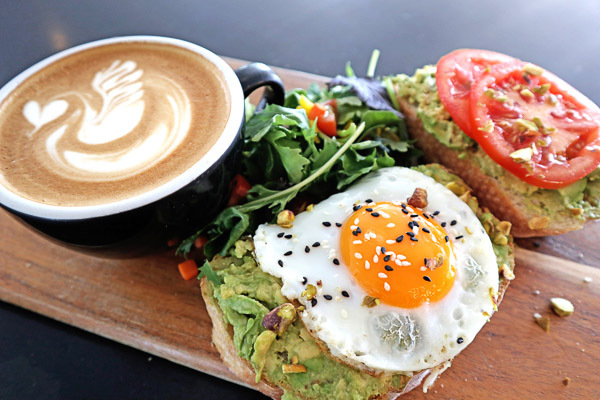 With the kitchen team developing a new and exciting spring menu for both brunch and lunch due out in September, it is time for you to make Columbus Coffee Riccarton your new regular.